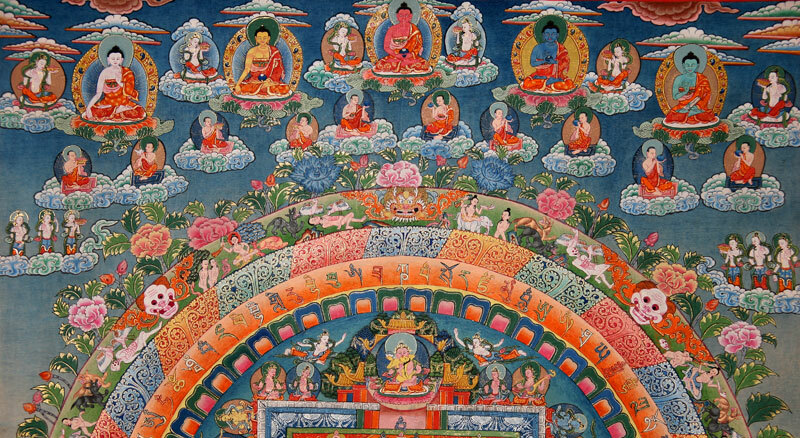 Avalokiteshvara, "Der gnädig herabblickende Herr der sechs Silben ", dessen Mantra OM MA NI PAD ME HUM über ihm in Tibetisch geschrieben stehen, wird hier auf einem außerordentlich filigran gemalten Thangka dargestellt. 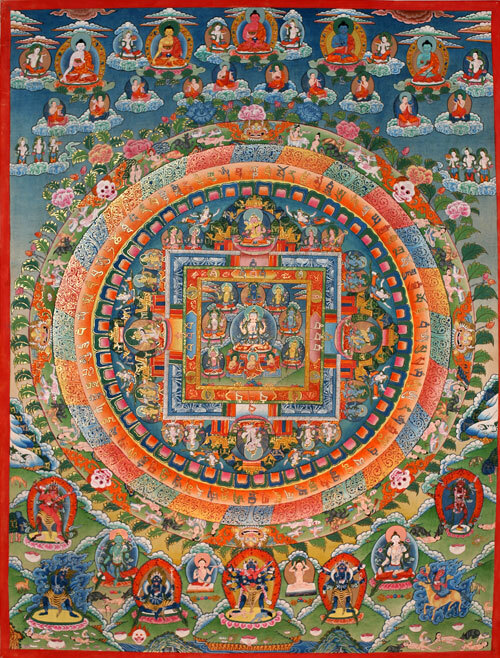 Dieses Mandala wurde geweiht vom Abt des Nechung-Klosters in Dharamsala! 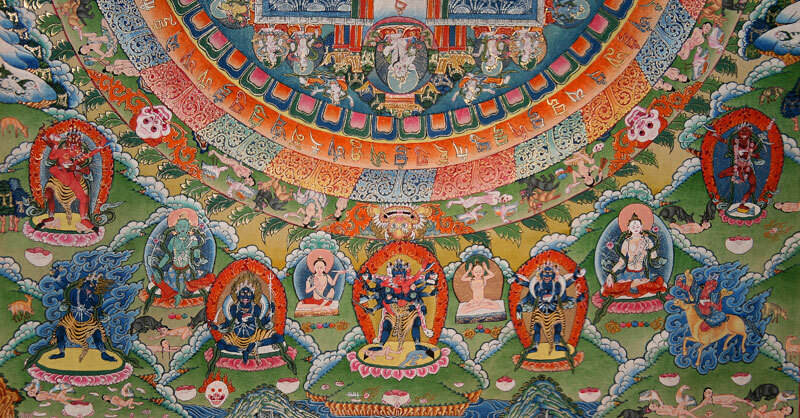 Chenrezig mandala - in the manifestation of the "Lord of the Six-syllables", the four-armed form of Avalokiteshvara. His famous mantra is the OM MA NI PAD ME HUM. 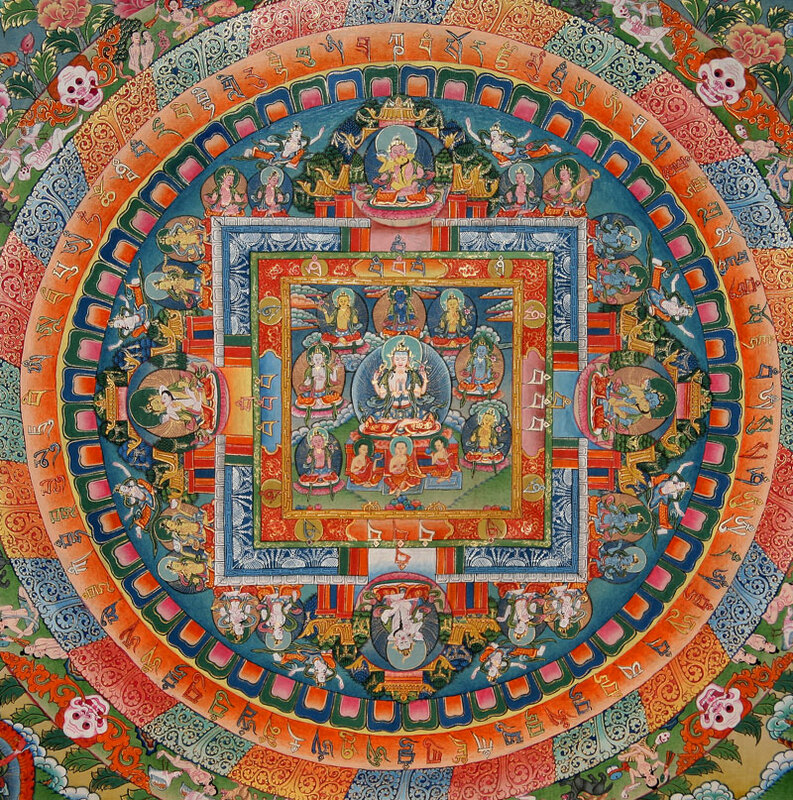 Here he is represented on an extraordinarily delicate and very manifold painted Mandala. This thangka already is consecrated by the monks of the Nechung-Monastery, Dharamsala, the monastery of the Kuten (State Oracle of Tibet)!